Everyone needs one GREAT photo! You may need a new social media photo, one for your company, or even a full branding shoot. How do you find the best photographer? How can you tell if the photographer is going to provide you with the best results? 1. Check out the photographer’s work on their website. 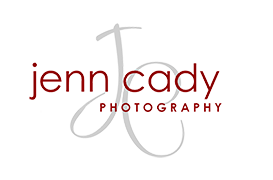 Make sure that they specialize in branding and headshot photography and make sure they do a great job and capture the person in an individualized way. No two sessions are the same. 2. Check out what other people are saying. Ask around. Did they come recommended? It is the photographer’s job to make you feel comfortable in front of the camera. A professional business/branding photographer will be confident in their ability to create the best photo for each session. 3. The best branding photographers know how to help you move in front of the camera. They need to make you feel comfortable and find your best look. There are tons of photographers who have no idea how to help pose you! Angles and lighting are everything. Ask the photographer what their specific posing process is. 4. Do they have the ability to do both studio and natural light photography? Do they have examples of both on their web site? Having the ability to do both, is by far the best . They can help pick the best environment and setting that will fit with your brand. 5. How long have they been a photographer? Anyone can honestly say they are a photographer. Be careful not to hire a “fauxtographer” because of a cheap price. Spend the money on one great session to have the best image out there. It’s worth it!